After director Atlee’s latest release Theri with Vijay, speculations are rife about his next film. There were different theories on this. 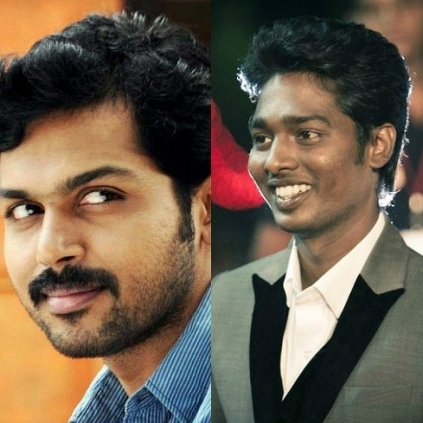 Certain sections of the media had reported that Atlee would soon direct Karthi for his next which would be produced by AGS Entertainment. However, our sources close to the director vehemently deny this and say it is just a rumor and there is no truth in it. Sundar C from June 10th? Anjali’s film to be remade? Simbu's Idhu Namma Aalu USA showtime! People looking for online information on Atlee, Karthi, Theri will find this news story useful.